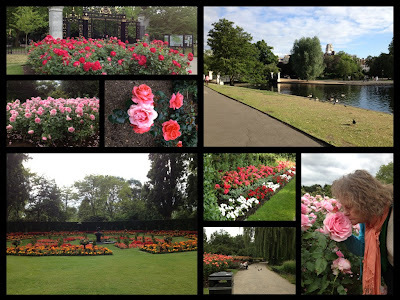 Tammy365: London Day 3 - Regent's Park home of "The Queen's Garden"
London Day 3 - Regent's Park home of "The Queen's Garden"
This is the "Flower Walk" in Kensington Garden. 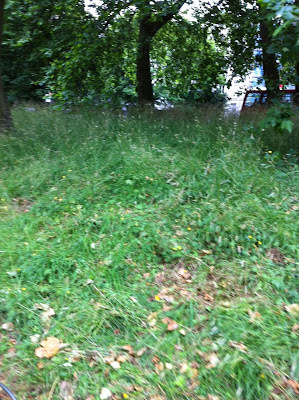 Not quite what we expected but we did enjoy a quick bike ride through the park (such a relief on our aching feet)! Kensington Palace wasn't much to see from the outside either. We are still hoping we didn't find the gardens. The palace was under construction. 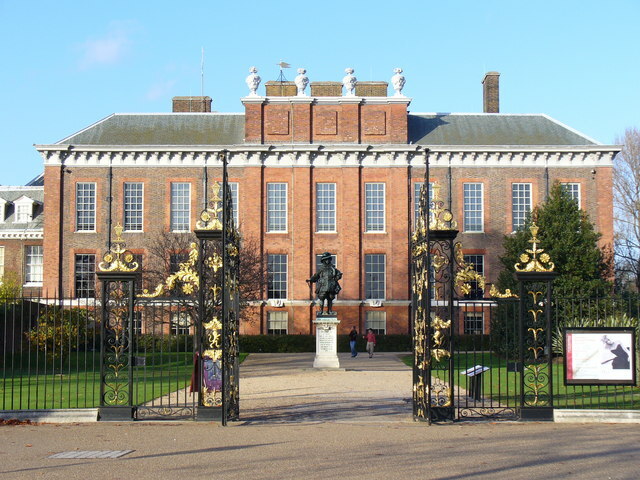 Will and Kate will reside here after the birth of the royal baby. As for the Queen's Garden in Regent's Park, the Atlanta couple was RIGHT! We saw some of the prettiest, largest, most fragrant roses ever. Some bushes were head high! Sydnee is 5'5". Trust me, these photos do not do the Queen's Garden justice! My Mom was astounded at the size of the roses. Some were as big around as your head! Even the trash cans looked majestic (middle pic at the bottom)! We were refreshed from the beauty of the garden and walked another five miles afterwards. No joke! This garden experience was the perfect end to our trip to London. Goodbye U.K., hello France! I agree! It was beautiful!